It practically has become a health mantra: Minimize salt intake to protect your health. A Belgian study, however, found that lowering salt consumption does not protect from high blood pressure (hypertension) and heart attacks. In fact, deaths caused by heart disease were higher in those with little salt in their diets. Salt, also known as table salt, is a mineral primarily composed of sodium chloride, sodium belonging to a group of chemical substances called “electrolytes”, that in the human body act as messengers between the insides (“intracellular”) and outsides (“extracellular”) of cells. Being able to contract a muscle, for example, depends on the presence of three of them: the sodium we talk about, as well as potassium and calcium. This of course is a delicate balance, that has to stay in equilibrium. In the case of sodium, too much or little of it can lead to muscle cramps, dizziness or, in extreme cases, death. Research has repeatedly linked high salt consumption to hypertension and heart problems, and people were urged to lower their salt consumption. And in some cases quite rightly so: Many convenience foods contain a lot of salt and people who hinge their nutrition on those consume large amounts of it. It just may be possible that we have gotten the reasoning behind this advice backwards and high salt intake may not cause heart problems, just influence existing ones. In Belgium, a long-term study done with over 3,600 volunteers examined what impact on heart health a high-salt diet had compared to a low-salt diet. What it found was that those who followed a low-salt diet (2,500 mg / day) actually had a much greater risk of death from heart disease than those whose diets had the highest amounts in daily salt intake (6,000 mg / day). In the low-salt group the risk was at 4%, while in the high-salt group it was at 1%. Dr. Jan Staessen, one of the study’s authors, assumes that those who have a pre-existing heart conditions may indeed be advised to reduce salt consumption, but that salt may not be the cause of these health problems. Before you now go and buy your own salt mine, let us also mention that the study is not without its critics. It goes directly against a well-established body of scientific evidence and that certainly causes discussion. Dr. Peter Briss, a medical director at the Center for Disease Control and Prevention (CDC), told the New York Times that among the study’s problems is that its subjects were rather young, that it is hard to draw conclusions when only a few cardiovascular problems took place and that the participants with the lowest salt consumption also provided less urine samples – urine being the way by which the body’s salt levels are measured – indicating that they did not collect all their urine over each 24 hour period. The truth may, as often, lie in the middle. In the last years we saw what might well be called an extremist position when it comes to salt consumption, encouraging people to cut it out of their diets wherever possible. In many cases that probably was good advice, because, as said above, some people consume very high amounts of it. But there also are those who already had little salt in their diets and then tried to eliminate it almost entirely, assuming that it can only do them good. That way they effectively denied their bodies a nutrient it very much needs. How much salt is right? Have you experienced health problems from salt or do you think that the whole debate is inflated? Pictures courtesy of Alicia Nijdam and Richard Jones. Although sodium is as you say an essential nutrient, our bodies are adapted to a palaeolithic diet that would be very rich in potassium but poor in sodium. A consequence of this is that the body tries to retain sodium and when presented with a high sodium diet (as most people have), this extra sodium is retained along with water leading to increased blood volume. This is why blood pressure rises with sodium intake. The palaeolithic diet would typically contain just 700 mg of sodium per day, and some current hunter-gatherer communities have been measured at just 500 mg per day of sodium without experiencing health problems. Along with this low sodium intake, they take in much higher levels of potassium. Sodium/potassium balance is regarded by some as the key, not just total sodium intake. There is good evidence that it increases risk of stomach cancer and risk of osteoporosis. Thanks for taking the time and contributing these links, Russell! I, however, have my doubts about the paleo diet. Thumbs up for bringing both sides of the argument. One point I’d like to make though is that not all salt is the same. The average salt goes through harsh chemical processing and has therefore lost many of it’s beneficial minerals which can actually improve cardiovascular health. Not saying that salt can be healthy, but with salt (as with all things that are designed mainly for stimulating your taste buds, like for example chocolate) investing in quality is a smart choice. If you pay more, you won’t use it as much, you will savour every bit and in the case of salt and chocolate, quality even means healthier. I personally use an unprocessed salt maybe once a week. I don’t think eliminating it completely out of the diet is good either or at least a small amount of it won’t kill you, just like you said. Kael, it would be quite difficult to reduce sodium intake to a dangerously low level as it is present in so many foods. I had a look at bread in the supermarket today and most loaves had around 9g of salt in – some had 12g. Just a couple of slices would give you a gram of salt. 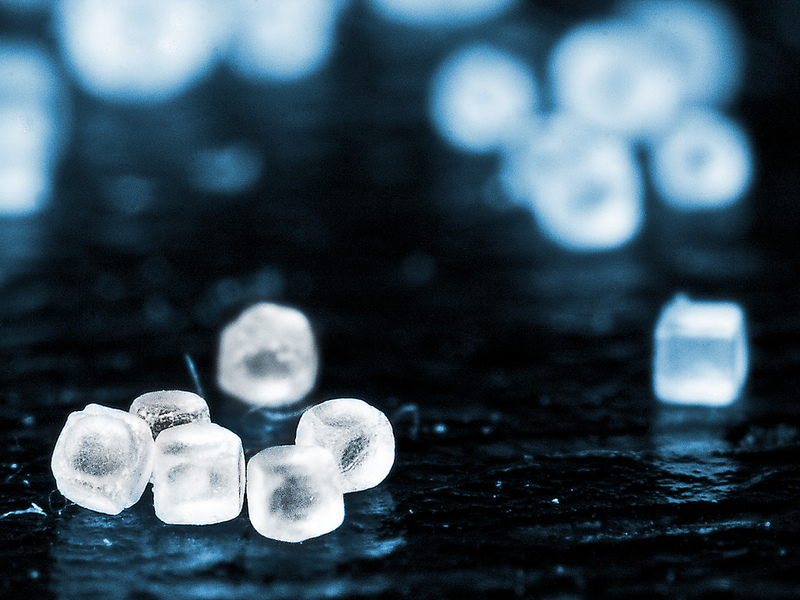 Salt is added as a cheap flavour enhancer – they even put it in icecream and cola! You are more likely to get hyponatraemia from drinking too much water than not getting enough salt. Yes, the big problem with salt is that it’s in so many things and that your taste buds get easily used to it, so you just eat more and more maybe without even you knowing it. However I personally pretty much prepare all of my food from fresh or whole ingredients, due to my interest in cooking, so I’m pretty much aware of the amount of salt in my diet. Maybe I’m not in an immanent danger of sodium deficiency, but just saying that adding a pinch of unprocessed sea salt to dish when it needs just that flavour is more likely to be indifferent or beneficial to your health than kill you. Also I’d say that there being many ways of living in the palaeolithic era, a large portion of hunter-gatherers had a larger sodium intake. Many hunter-gatherers lived on the shores where salt is easy to acquire, and it would’ve surely been used for it’s flavour and for storing. That is very true about taste adapting to the amount of salt you eat. I avoid salt as much as possible and I can taste it in lots of things now like sweets and cakes. The biggest source in my diet was from bread and I couldn’t find any bread in the UK without loads of added salt, so I got a bread machine and make my own. Is it not a question of preaching to the converted and preaching to those who choose not to listen? People pursuing a healthy lifestyle will probably stick to the 6 grams of salt a day and have enough knowledge to increase that amount due to hot weather, excercise regime, whether a hard sweater or not. Whereas, the majority of warnings about consumption are firmly aimed at those who eat salted snacks, processed foods etc, etc. It is not unknown for some people to consume 10 times the RDA of salt. My grandmother was a salt abuser – first the crippling arthritis, then the high blood pressure, then the fatal stroke; a teetotaler, non-smoker and apart from the lethal salt levels a good western diet of the porridge for breakfast, lunch, fruit and dinner of meat and three veg. And a spell on the 15 year war, post-war diet. Oliver, preaching will never get you far. My aim is to present people background information that lets them make an educated decision on their own. Personally i do not add salt. If it is present in the food or recipe I follow it. I do not see the need to add salt once the food is prepared. If it is bland reach for other spices like pepper, cumin, herbs, etc..
To be honest, I never monitored my salt consumption very closely. But then again I don’t eat very many convenience foods.